Nature and human nature and human creations, it’s what surrounds us and makes our world. Both are an endless source of inspiration for all of us. For American artist Miles Laventhall, it is crucial nature in all its forms, volatility and instability, natural phenomena and challenges facing nature through human activity. For Alex Tuzinsky, Slovak origin living and working in America is a key theme of man. For someone who has found a new home in the “new” world and has experience of life in many countries and political systems, it could hardly be otherwise. 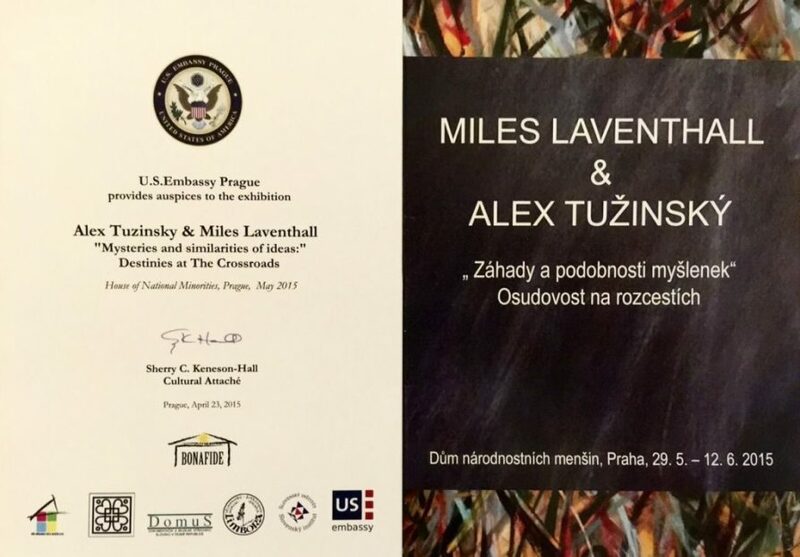 Exhibition of American professor and his Slovak pupil is rewarding and universally valid example of the creation of man based on his experiences, experiences and feelings and inner need to communicate and i with others about our faith and hope. Miles Laventhall and Alex Tuzinsky seek and find what is unchangeable and permanent, can separate important from the unimportant, deep from the shallow, lasting from ephemeral, and communicate their messages to those who can patiently listen to them, in whatever language they speak.